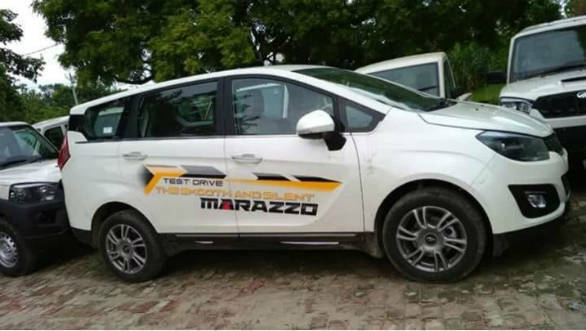 The Mahindra Marazzo is set to launch in India on September 3. Dealers have already started accepting bookings for the new MPV. In a bid to create some buzz over the product, Mahindra has been releasing teaser images at regular intervals showing various design elements of the vehicle. But a few images have now appeared which show it completely undisguised. The front of the car is dominated by the large double-barrel headlamps, the blacked-out effect of these are a nice touch. The front grille gets, as the company calls it, a shark-inspired grille. Another noticeable touch is the prominent lip below the front bumper. The side profile of the car gets subtle character lines and a large glass area. The alloy wheel design on these top-spec cars look attractive and the tyres fill up the wheel wells nicely. Overall, the design seems quite subdued in comparison to other Mahindra cars like the XUV 500 and the KUV 100. 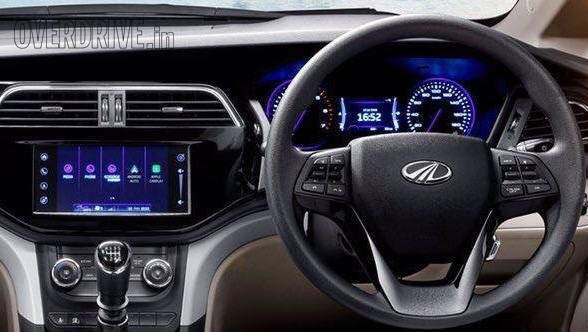 In interior shots released by Mahindra earlier, the dashboard of the Mahindra Marazzo sports a two-tone finish with an upmarket design. The interiors are expected to be feature loaded in a similar fashion to the XUV. It will be available in a 7-seater and 8-seater layout. Its dual-tone interior is equipped with a touchscreen infotainment system, automatic climate control, piano black panelling and a new steering wheel. What you see here is a much cleaner instrument cluster than what is offered on Mahindra vehicles. Also, notice the 4x4 / AWD drivetrain logo on the left of the instrument cluster. 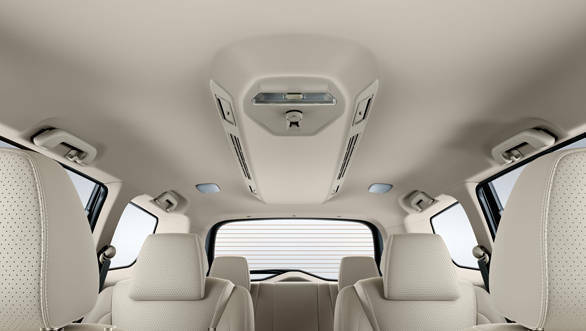 The Mahindra Marazzo will come with a uniquely designed roof-mounted air-conditioning unit. The car is expected to be powered by Mahindra's new 1.5-litre diesel engine which should produce around 128PS and 305 Nm. A petrol engine might also be made available later in the car's production run. The MPV will share its monocoque construction with the XUV500 and KUV100. The MPV, developed under the project name U321, gets its naming from Basque, a sub-language of Spanish, where the word Marazzo means shark and is linked to the vehicle's shark-inspired design. The Mahindra Marazzo is based on an all-new platform and does not replace anything that is on sale from the Mahindra portfolio. 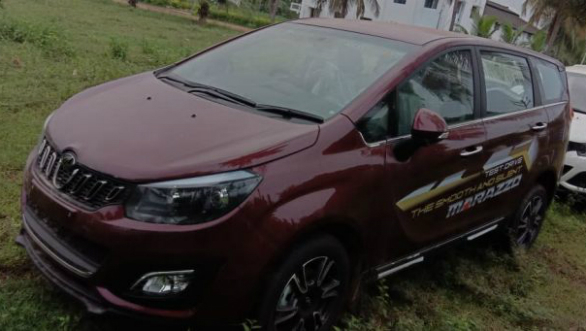 The Marazzo is being positioned as a low-cost alternative to the Toyota Innova Crysta. The new generation of the Innova is a more upmarket proposition. This leaves a large gap in the MPV market between the Ertiga and the Crysta which the Marazzo can exploit.